‘Digital transformation’ is the phrase on everyone’s lips. Blogs and social networks are overflowing with posts on this topic, and CEOs are suddenly expected to be ‘in the know’ about digital strategy and to steer their companies in the right direction. 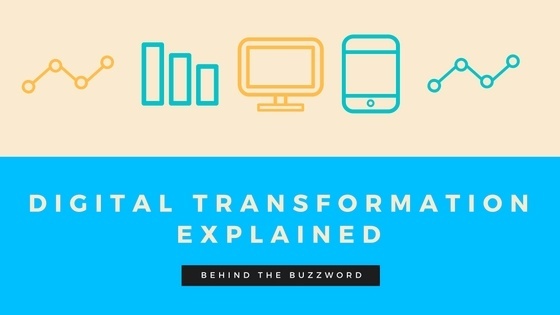 So what exactly does digital transformation mean and how do you apply it to your business? In its simplest form, digital transformation is the process of streamlining office procedures with the help of digital technologies such as cloud computing, mobility, big data, and collaboration. Digital transformation goes beyond simply automating the existing process. Rather, it’s about reinventing the process, which means reducing the number of steps, the number of documents, and the number of people involved. The reason the ‘digital transformation’ phrase has generated so much buzz is because of the way digital technology has revolutionised the way we work. We are living in a mobile-first, always switched on world, where things happen in real time and information knows no boundaries. It’s been estimated that every two years, the world’s information doubles. Today more than ever before it’s important that you streamline business processes, because the more streamlined they are, the quicker, easier, and cheaper they’re going to be for your business. One example is dealing with paper. While the amount of information being managed electronically is increasing, ironically, so too is the amount of paper we’re using. With data coming from multiple channels, businesses in every sector are now spending more time sifting through unstructured information arriving in multiple formats. This leads to decreased productivity and an increase in inefficient, manual processes. 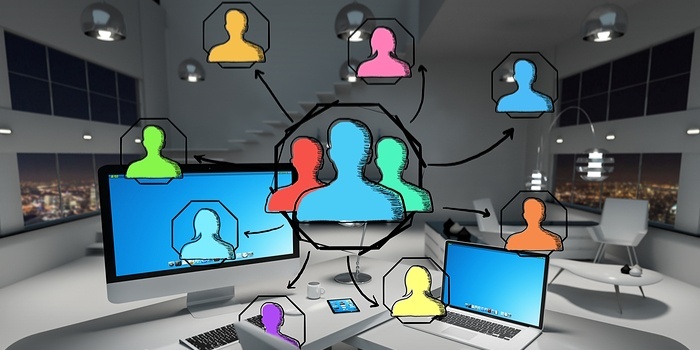 While going ‘paperless’ is not really an option for most organisations just yet! – digital products like web conferencing and Microsoft Office 365 can assist in minimising the amount of paper processing you do. In fact, businesses that have begun the process of converting documents into electronic formats claim they are 14% more effective. A lot of the push for digital transformation is coming from the customers themselves as today’s consumers want a quick and easy digital experience, and they want it now. You can blame companies like Amazon and Apple for this, because thanks to them customers now expect every organisation to deliver products and services in the same way. They want bank loans to be approved in minutes. They want to log in to their online electricity account and see a real-time report of their consumption. They expect all service providers to have automated access to all the data they provided earlier and not to ask the same questions over and over again. The way to meet their expectations is by streamlining your business processes, because you can only deliver a seamless experience on the outside if the inside is working at peak efficiency. Keep in mind that with the amount of information available online nowadays, it’s easier to shop around. So, if your customers don’t get what they want from you, they may not wait around. Hopefully you’re now comforted by the fact that digital transformation isn’t as scary – or as expensive – as it’s made out to be. However, it is just as important. So, if you’re a business leader, now’s the time to be looking into how digital technologies can help you to better streamline office processes. Download our latest ebook, Why Your Companies IT Strategy is key to Business Success.